Meet the toaster ovens of Toaster Oven Love. 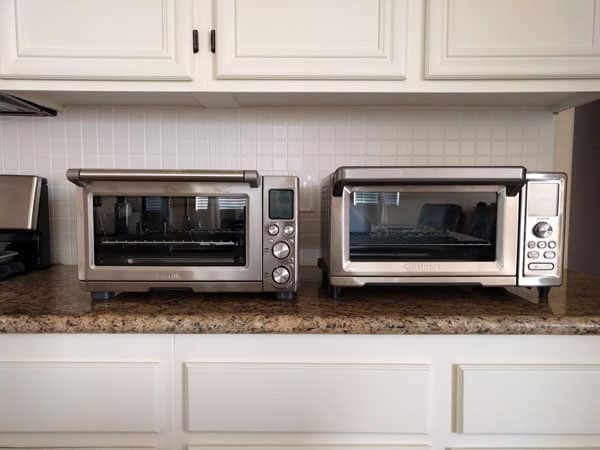 These are the little ovens we use to develop and test toaster oven recipes for the site. You may also recognize them from these step-by-step tutorials too. What are you cooking with? We’d love it if you’d tell us about your toaster oven in the comments below! This is our (ever expanding) team of toaster ovens, big and small they do the heavy lifting around here. The most recent addition to the team is the Breville Smart Oven Pro (purchases through this link produce a commission for us). More expensive than most toaster ovens its features (including convection), design and reliability deliver the goods. The oven light is great for checking the doneness of your meal without having to open the door (which can cause up to a 25% drop in temperature). The interior’s special nonstick coating makes cleaning simple (you can just wipe it down with a damp sponge). The rack positions for cooking different items are printed on the door so you don’t have to check the manual every time. It comes with a sturdy baking rack, large roasting pan, and pizza stone. 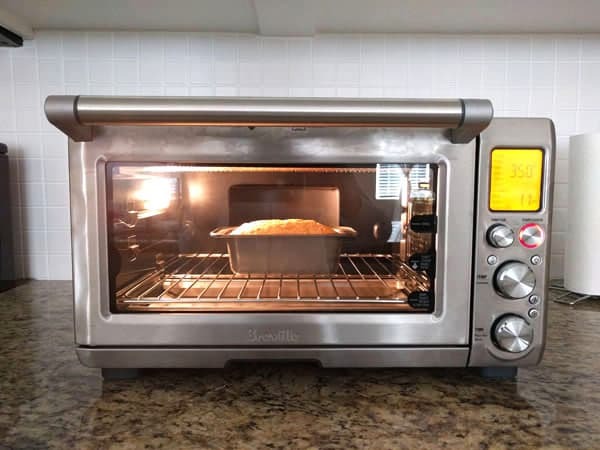 We were skeptical about all the hype but this truly is a great toaster oven that we would recommend to anyone. The beep or alert is ridiculously loud and there is no way to adjust the sound level. If you’re trying to sneak a midnight snack of potato wedges, prepare to share because that beep will wake up the whole house. On the plus side, we guarantee you will never accidentally turn it on and not know it. Originally an office lunchroom toaster oven, this Oster TSSTTVVGS1 joined the team after Tim took our Cuisinart to work (see Lunchroom Beast below). 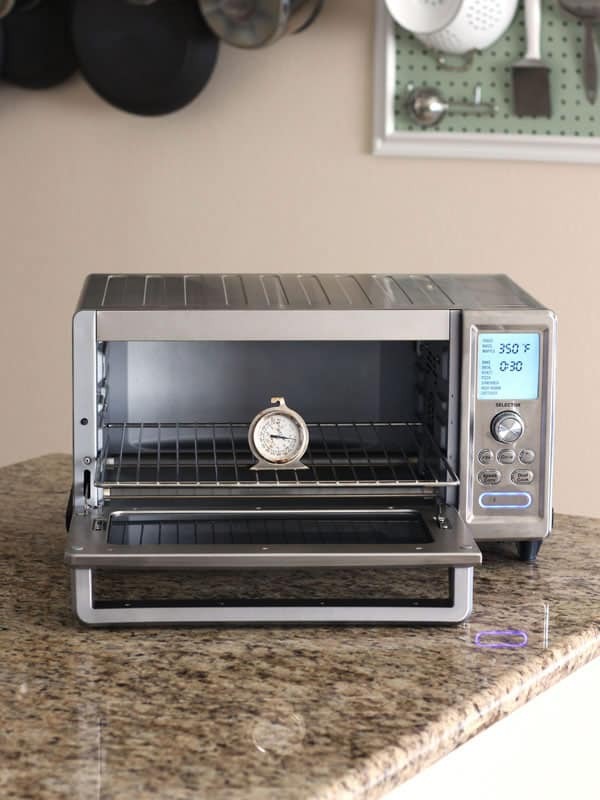 Reasonably priced, this cute little (17.4 x 11.1 x 9.5 in) countertop oven’s features include broiling, baking, toasting, and a 30-minute timer with a stay-on position for recipes that take longer. 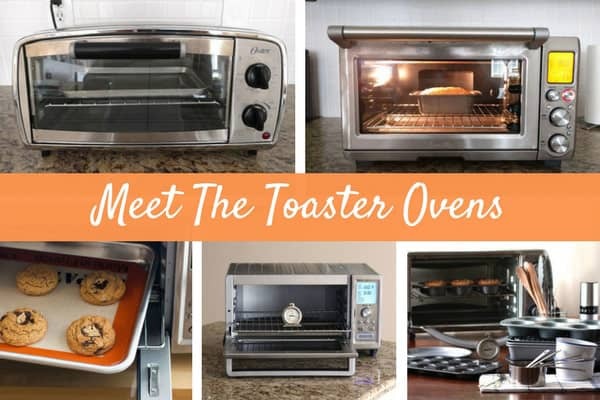 We’re still getting to know this tiny toaster but he’s already helped expand the recipe testing and tutorials on Toaster Oven Love beginning with these posts on How To Toast Coconut In Your Toaster Oven and How To Bake A Toaster Oven Carrot Cake. The toaster oven that started it all, an Oster Countertop Oven, TSSTTVCG02. A mighty little machine that made tasty baked donuts. After 4 years, hundreds of baked potatoes and too many burnt appendages, Mr. Toaster Oven has been retired from daily cooking. Today, he serves a greater purpose as the official Toaster Oven Love Community Test Subject. 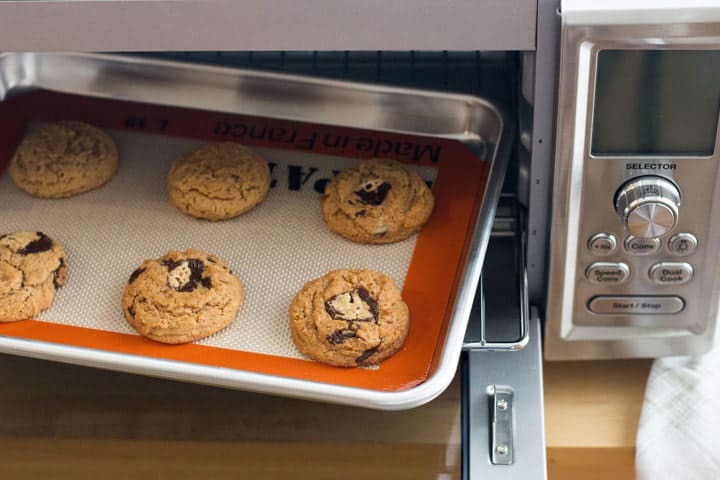 Right now he’s helping us discover the best (and worst) methods for cleaning your toaster oven. 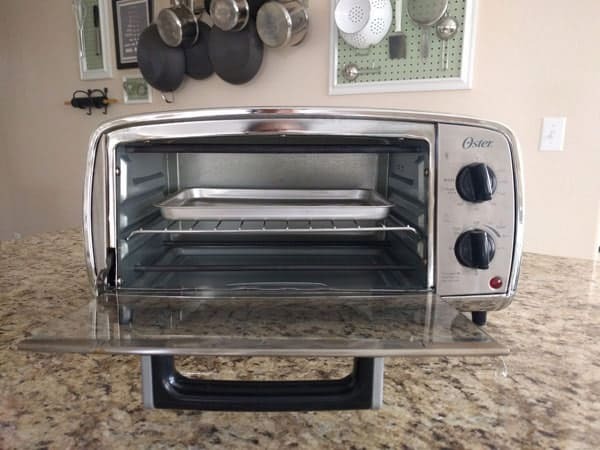 Last year, we purchased the Cuisinart Chef’s Convection Toaster Oven to replace Mr. Toaster Oven. It’s dreamy with a huge interior, efficient convection and reliable temperature. 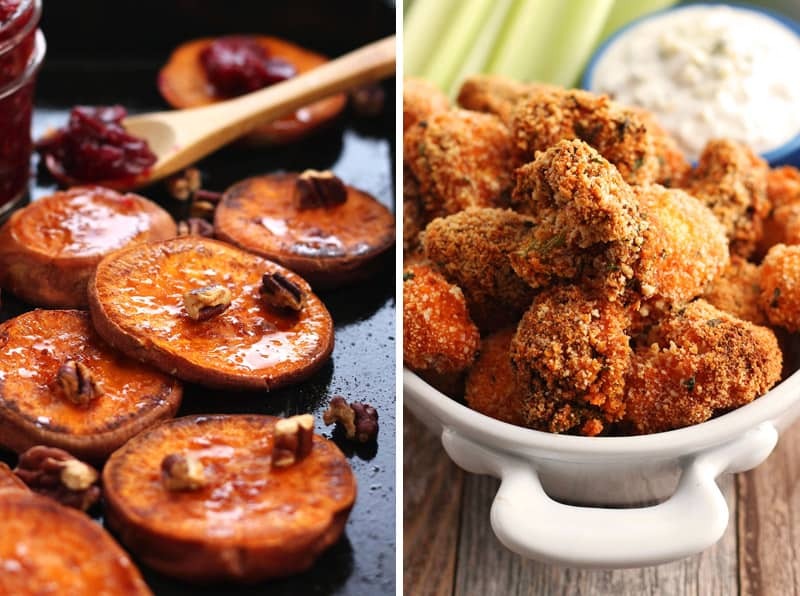 Highest on our must-have list, it fits a quarter sheet pan, the perfect sized pan for cooking a pan of addictive roasted sweet potato rounds or buffalo broccoli and cauliflower bites. After just a few uses the buttons started rubbing off. Not a huge deal but for close to $200 you kind of feel entitled to buttons that identify what they do when pressed. We received the new toaster oven. Chopped the cord off the old one, mailed it back and set the now cordless toaster oven in the garage to take for recycling. After 4 days of use, the buttons on the new toaster oven began rubbing off! If you hear the words 3-Year Warranty and think that must include money back for a defective item, you would be wrong. Cuisinart would not refund our money because their warranty only covers parts and replacements. To their credit, they were willing to keep sending us a new toaster oven each time the buttons rubbed off. If we wanted a refund, we’d have to take that up with the store we bought it from. Now, some stores have generous return policies, others not so much. We had never shopped at Bloomingdales before purchasing this toaster oven during a sale. Turns out they have a more than generous return policy, were happy to refund our original purchase price, and gave us a shipping label to send them the cordless toaster oven. Less than 3 weeks later we received our refund. 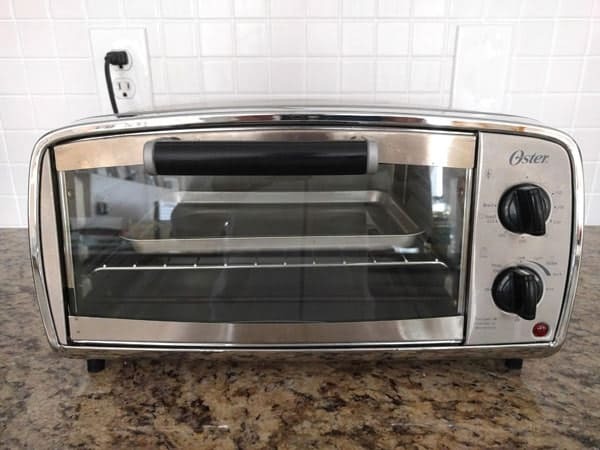 What About The Replacement Toaster Oven? 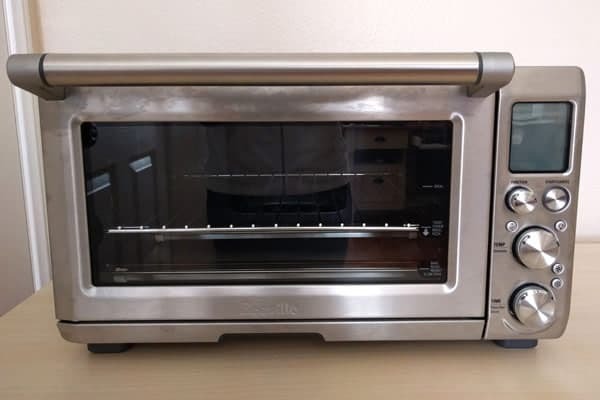 Cuisinart didn’t want it back and we had already purchased the Breville Smart Oven Pro (purchases through this link produce a commission for us). So, Tim took it to work and his old work toaster oven (Tiny T) joined our home testing team. 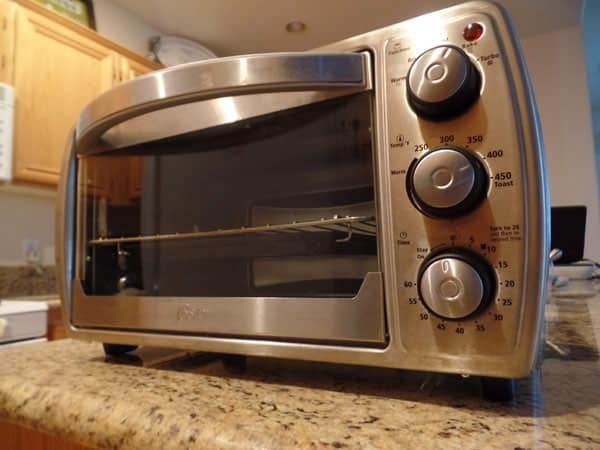 THINKING ABOUT UPGRADING YOUR TOASTER OVEN? Once you’ve decided on the toaster oven that will fit your counter space and meet your cooking needs, a good sale is always waiting around the corner. Tell us about your toaster oven, we want to hear from you. 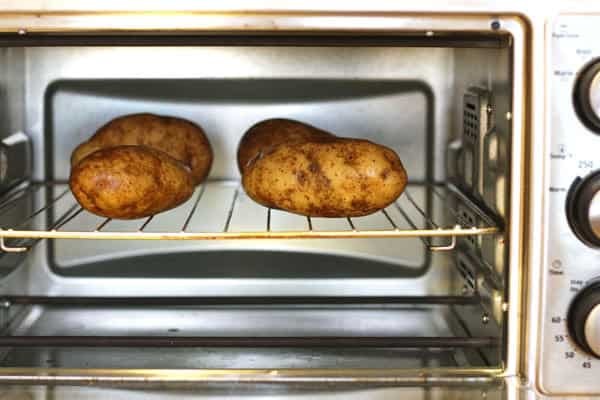 Do you absolutely love your toaster oven or are you struggling to cook with it? Share in the comments below! 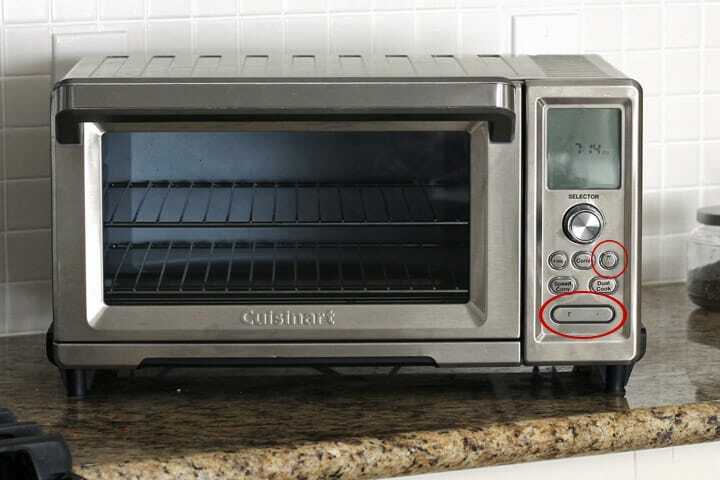 I have the Cuisinart convection toaster oven (Model # TOB-260N1) and have had it for several months. It performs beautifully, and it is in perfect condition (no rubbing off of writing) – just like new!!! I love this oven and use it exclusively – I never use my cooking range oven except to store pots and pans. I highly recommend my Cuisinart oven. I use Calphalon baking pans in it, yes, even the 13×9″ and it fits perfectly and cakes bake perfectly. I also use the pizza stone that came with the oven. Highly satisfied with Cuisinart quality. Thanks for sharing your recommendation, Linda! We’re so glad to hear you aren’t having problems with the buttons. Our Cuisinart toaster oven cooked so well we were seriously bummed about the buttons and really hoped it was an isolated issue. I own the farberware 25 L. Looks like a Breville. How do you like cooking with it? It seems like there are a lot of fun features and perks (like 2 cooking racks!). Once our warranty expires (since opening it up will void it) we’ll probably have the guts to give it a go. Thanks for sharing Darlene! Greetings from Australia………. 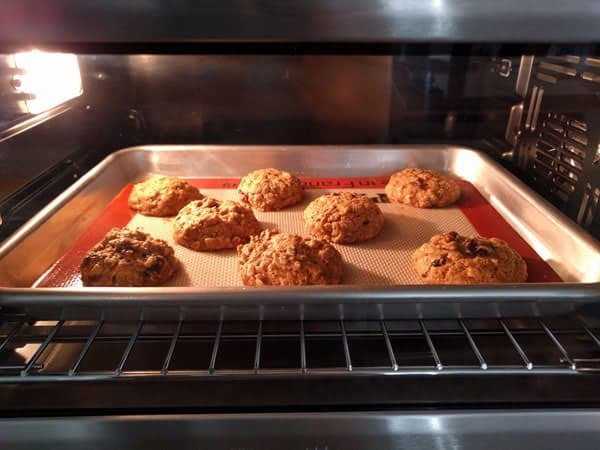 My wife and I recently purchased a Breville smart oven pro and so far we are thrilled with it. The oven is very intuitive and it’s recommendations seem very good. Thank you for sharing your experience with the Breville. It’s great to hear such positive things about it’s different features especially the “smart oven” part which we’ve been super curious about. We may be purchasing a Breville in the near future too.